Mr Justice Peter Charleton made his closing remarks at the tribunal today. Shane Murphy SC said that the evidence of the four men – journalist Philip Boucher-Hayes, TDs, John McGuinness and John Deasy and comptroller and auditor general Seamus McCarthy – could not be regarded as corroborating each other, as they were each alleging different things were said during conversations with Callinan about whistleblower Sergeant Maurice McCabe. The tribunal, which is examining allegations from former garda press officer Superintendent David Taylor that he was directed to brief negatively against Sergeant McCabe, is hearing closing submissions before the chairman, Mr Justice Peter Charleton retires to write his report. Murphy said that a common element was that none of the witnesses had come forward at the time to report what they alleged Callinan had said to them. Murphy said the evidence of Public Accounts Committee (PAC) chairman John McGuinness TD was inconsistent, as he told RTÉ interviewer Richard Crowley in 2016 that he had not made any notes following a January 2014 meeting in a Dublin hotel car park with Callinan. However in March 2017, McGuinness produced notes of the meeting to the tribunal. Murphy said that McGuinness also claimed on RTÉ that he had not spoken with Fianna Fáil party leader Micheál Martin about the meeting. Martin told the tribunal last December that he was informed of the meeting. The meeting had been characterised as somehow secret or clandestine, Murphy said, but this was not the case. The location, in a Dublin hotel car park, was chosen as McGuinness was eager to get home to his Kilkenny constituency, and it was easier for Callinan to travel to a meeting at Newlands Cross on the way out of city than in the city centre. Murphy said it was also Mr Callinan’s position that comptroller and auditor general Seamus McCarthy was incorrect in his recollection of a conversation before a PAC meeting in January 2014, and that Fine Gael TD John Deasy had “misconstrued what was said”. Callinan’s case was that he was asked about allegations regarding Sergeant McCabe by McCarthy, and had told him that the allegations were investigated and the DPP directed no prosecution. Callinan also said he had told Deasy that not all of the allegations made by Sergeant McCabe had been proven, not that McCabe could not be trusted. Murphy said that RTÉ journalist Philip Boucher-Hayes’ account of a conversation with the then commissioner in December 2013 contained a number of inconsistencies, and it was unlikely that the journalist would have prevented a broadcast going ahead because of a disagreement over what questions Callinan should answer on air. The chairman should also consider the impact of public commentary on memory, Murphy said, as by the time the witnesses came forward in 2017 there had been “a vast tsunami of public discourse” about McCabe. Murphy also said that former garda press officer Superintendent David Taylor was not a witness who was in any way credible or whose evidence could be relied upon. There was also no evidence of any communication between former commissioner Nóirín O’Sullivan and journalist Debbie McCann in relation to McCabe, Mr Murphy said. Murphy also said there was no evidence produced to show O’Sullivan had in any way influenced broadcasts by RTÉ journalist Paul Reynolds about a leaked copy of the report of the O’Higgins Commission of Investigation. 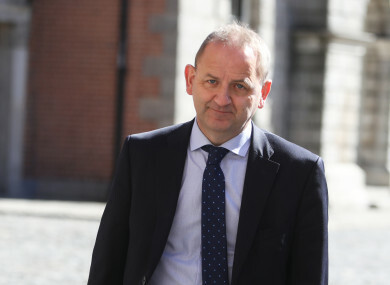 Sergeant Maurice McCabe was entitled to be vindicated as truthful by the Charleton tribunal, his barrister has said in closing submissions. “He doesn’t come here as a plaster saint and he doesn’t say that he got everything right,” Michael McDowell SC told the tribunal. But he is entitled to be vindicated as a man who has been truthful, not only at the O’Higgins Commission but also in this tribunal, and that he is well motivated. The O’Higgins Commission of Investigation looked at complaints by Sergeant McCabe about policing on the Cavan-Monaghan division. The Charleton tribunal had been looking at allegations that there was a smear campaign against McCabe. McDowell said there was no evidence that RTÉ journalist Philip Boucher-Hayes had any motive to make up his account of his conversation with garda commissioner Martin Callinan in December 2013, and other witnesses had confirmed that Boucher-Hayes had told them about the conversation. Comptroller and Auditor General Seamus McCarthy was a public servant and “had no basis whatsoever to impugn Mr Callinan”, McDowell said. McDowell said that McCarthy’s evidence of what he was told by Callinan before a Public Accounts committee (PAC) meeting on 23 January 2014 confirmed to some extent what John McGuinness TD said he was told in a car park meeting with Callinan on the following day. McDowell said that Fine Gael TD John Deasy had been sympathetic to Callinan’s position on whether McCabe should give evidence before the PAC, and there was no reason to suppose Deasy held any malice towards Callinan. McDowell said that Shane Murphy SC on behalf of the Garda Commissioner was asking the tribunal to consider that McGuinness invented “a highly malicious story” and was re-telling it knowing it to be false. McDowell said this would mean believing that a note of the meeting made afterwards by McGuinness was “a piece of forged documentation invented to corroborate his account”, and that the tribunal should also doubt the evidence of Fianna Fáil leader Micheal Martin, who said he was told about the meeting some weeks later. McDowell asked if the fact that phones used by Callinan, Nóirín O’Sullivan and Superintendent David Taylor in 2013 and 2014 could not be located was a coincidence or a deliberate policy to make them unavailable. McDowell said it was likely that some journalists were negatively briefed about Sergeant McCabe by former press officer Superintendent Taylor. He said there was not “a simple binary choice” that Taylor was either credible or not credible as a witness. McDowell said it was unusual that Taylor was reinstated and disciplinary proceedings dropped after the the findings of the Clerkin report, which found he was leaking information to journalists. “The attitude exhibited in the witness box by Superintendent Taylor seems to have had about it an acquiescence and an willingness not to fight his corner and to rely on entirely formulaic statements of evidence in circumstances which must attract a degree of suspicion,” McDowell said. Rossa Fanning SC, on behalf of Independent News & Media (INM), said there was no evidence that INM was used even inadvertently as part of a smear campaign against McCabe. Any fair examination would show INM reported fairly on McCabe’s allegations, and that often its coverage was favourable to him, Fanning said. Journalistic gossip was not relevant to the tribunal, and journalistic clashes as to the currency of gossip were of no probative value to the tribunal, Fanning said. Counsel said there were three disputes which concerned INM, involving journalists Ann Harris and Gemma O’Doherty, and academic Colum Kenny. “The tribunal should exercise caution and restraint in not deciding things, it is not for the tribunal to decide,” Fanning said. He said that if the tribunal did take a view on the differences between evidence, then in respect of Harris, it should prefer the evidence of Fionnán Sheahan and Ian Mallon. He said there was no objective evidence that the termination of Gemma O’Doherty’s employment had anything to do with garda interference. Fanning said that journalist Tom Brady was “emphatic” that he did not have a discussion with Colum Kenny, in the presence of RTE journalist Paul Reynolds or otherwise, and never had a discussion of the kind outlined to the tribunal by Kenny. In closing remarks, the chairman Mr Justice Peter Charleton thanked all those who had worked to make the tribunal a success since it began, and the members of the public who had attended its sittings. “I couldn’t have done any better, because I have worked with the best,” the chairman said. The chairman said he expected to complete his report in October. Email “Evidence of four witnesses should be disregarded, Disclosures Tribunal told ”. Feedback on “Evidence of four witnesses should be disregarded, Disclosures Tribunal told ”.